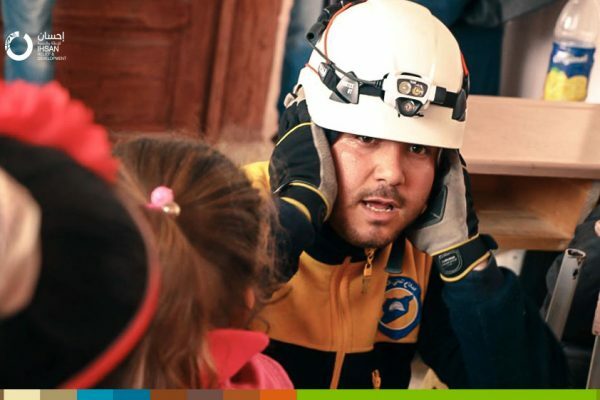 In a country that used to be bombed by warplanes every day, it was imperative for all people -young children and adults- to learn the fundamentals of dealing with disasters and training on security and safety measures that could be the difference between life and death at any moment. 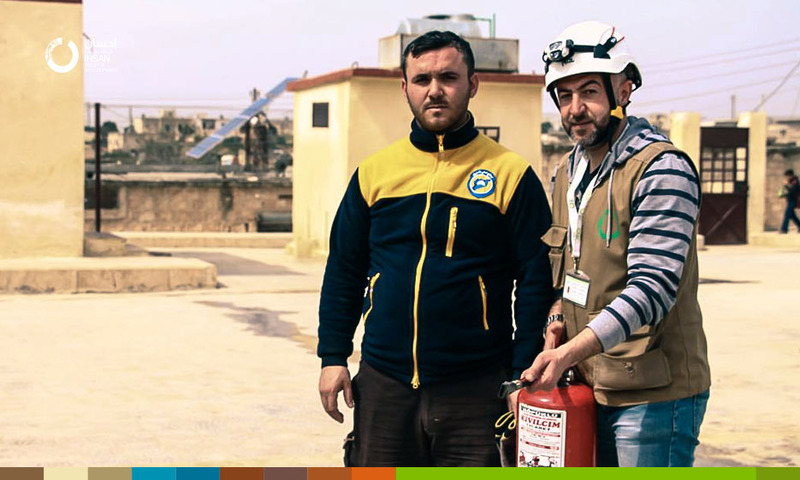 Through its projects, IhsanRD seeks to save the lives and keep safety of both staff and beneficiaries, by taking the necessary measures to mitigate the risks and carry out periodic safety and security training. 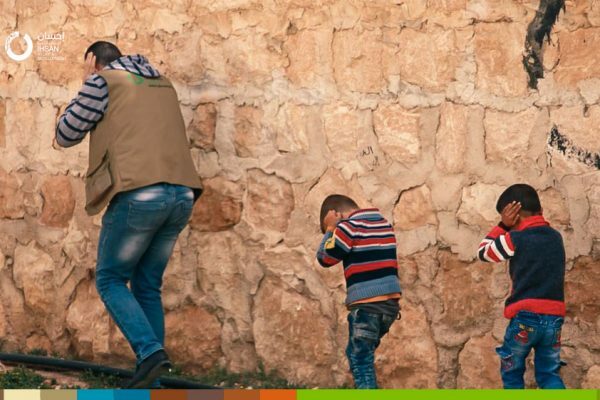 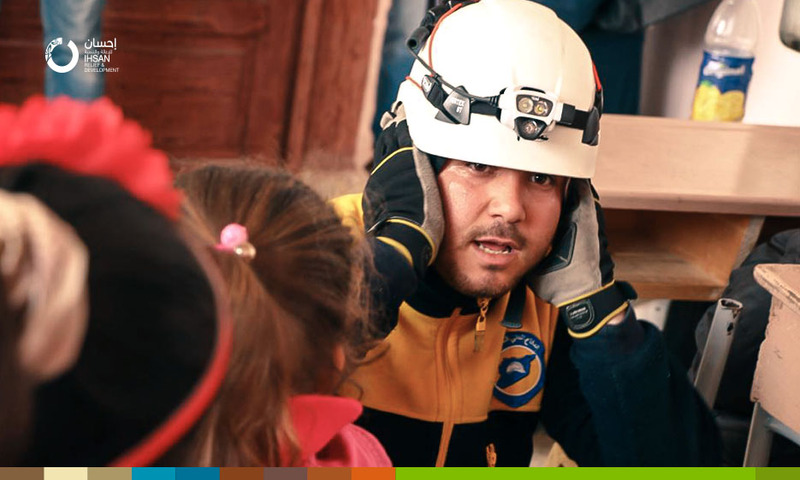 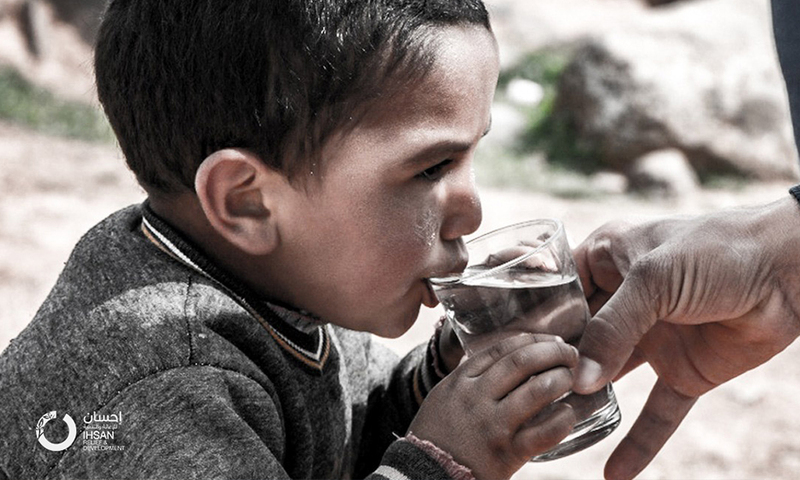 Education Department at IhsanRD, in collaboration with the Syrian Civil Defense developed a safety and security plan, in addition to an evacuation plan in the schools supported by Ihsan Relief and Development in the western Aleppo countryside. 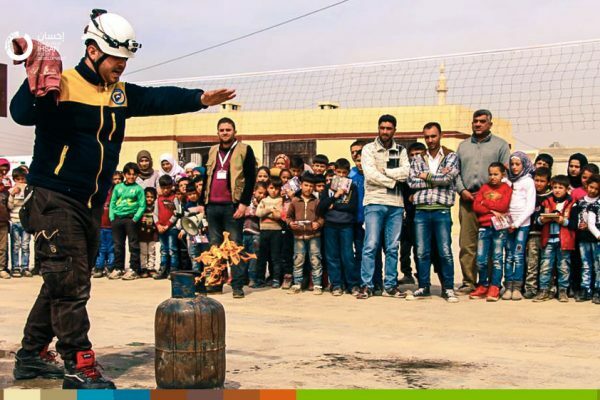 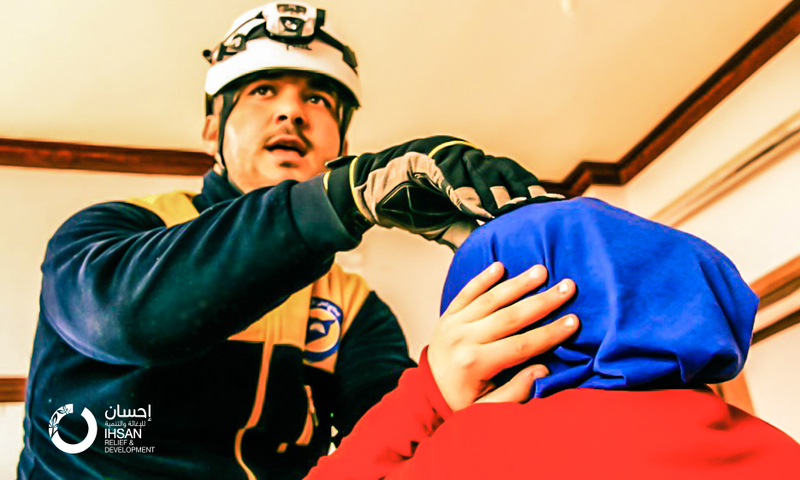 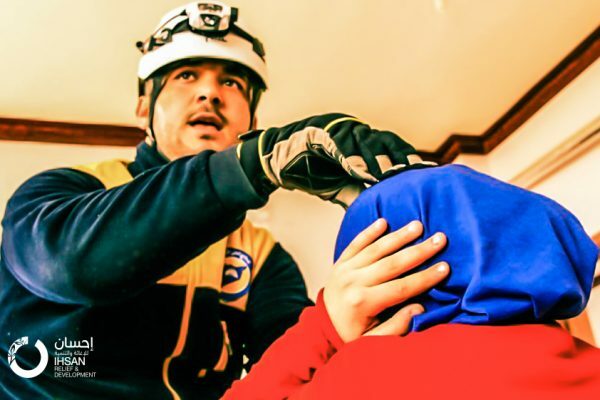 Then a specialized trainer from the civil defense “White Helmets” has conducted the necessary training for both teaching staff and students to implement the safety and security plan properly. 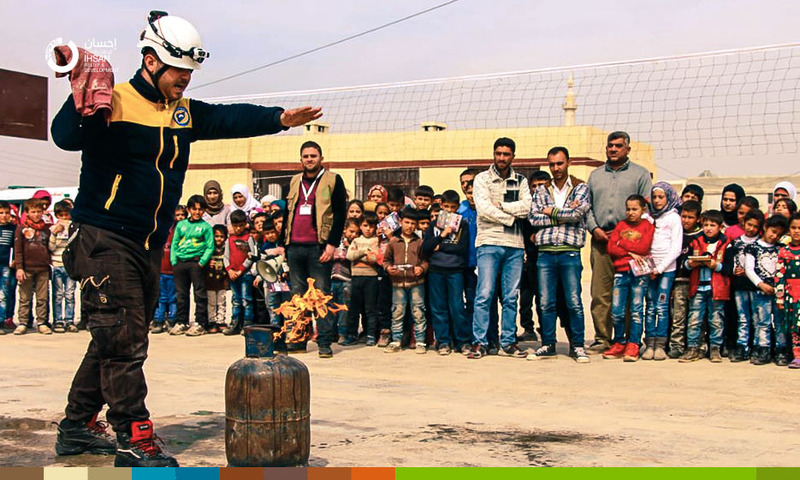 The training included the evacuation plan in case schools are at risk, how to use fire extinguishers and ways to extinguish various fires. 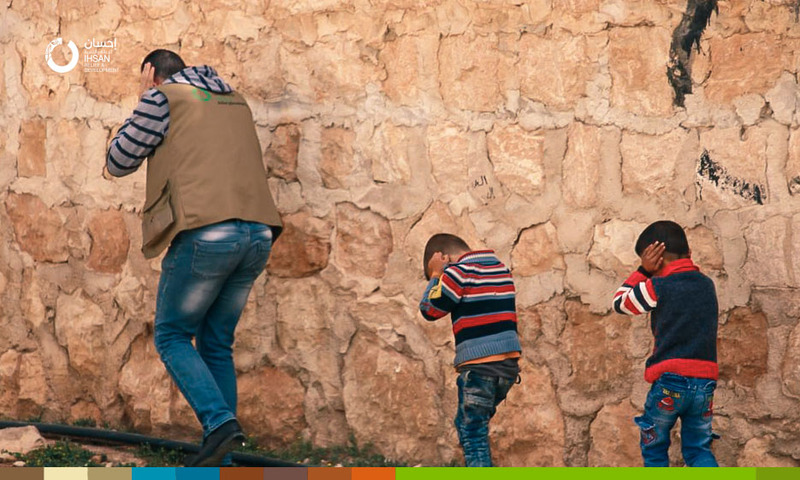 As well as the distribution of brochures describing the methods of shelter during the bombing and brochures about the remnants of the war of unexploded ordnance. 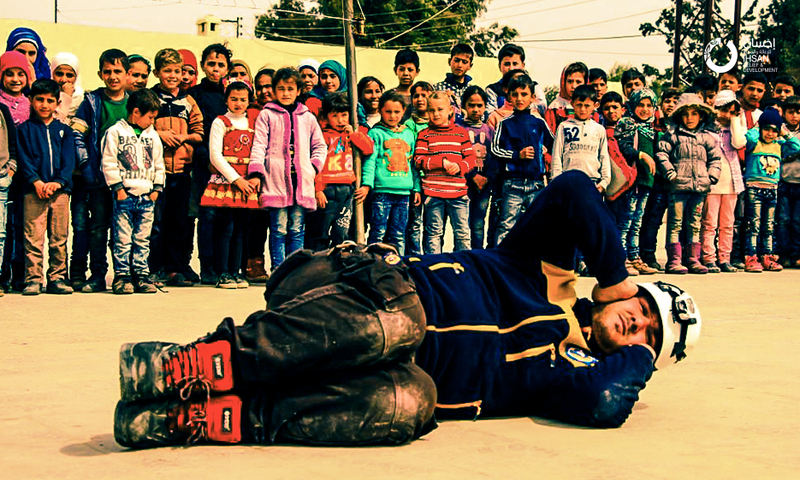 The trainings were held in 5 schools in the western Aleppo countryside, with 120 teachers and 3450 students. 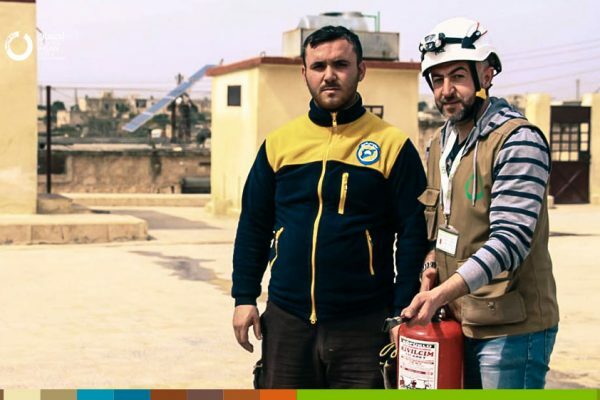 In addition to safety and security training, IhsanRD provides its schools with safety equipment and fire extinguishers and check them periodically to ensure their effectiveness.